Being able to accurately predict your company’s cash flow will allow you to make important and informed strategic and operational decisions. Identifying credit risk is key to achieving this goal. In the global economy, where competition and disruption seem to be waiting around every corner, the winners will be those companies that are proactive rather than reactive. That’s true in product development, customer service, marketing: in fact, in every facet of the business. Yet, when it comes to finance functions like AP and AR, too many companies still seem to cling to “old school” processes and procedures, relying on manual and paper-based invoice creation and submission as well as receivables. Digitizing your AR functions will definitely streamline each step in the transaction process, offering a greater guarantee of accuracy through elimination of both paper and manual intervention. But the benefits companies that implement a cloud-based AR automation solution will realize go much deeper and can help shorten an enterprise’s Days Sales Outstanding (DSO). Real-time visibility into the status of invoice payments enables companies to better manage their working capital and make investments that will contribute to company growth. And the ability to identify credit risks sooner rather than later will definitely help achieve those goals. When it comes to acquisition, are you giving credit where credit is due? When assessing the credit-worthiness of a prospective customer, companies often take the traditional path of registering with a credit bureau like D&B. The credit report issued by the bureau will include a prospect’s past payment history, revenue, and outstanding obligations; what the credit report won’t include is information derived from analytics based on deeper data. This limited information may be enough to decide on whether or not to extend credit limits to a new customer and on what terms, it doesn’t give you enough information to predict the future business trends of this prospect. In effect, with a traditional credit bureau, you’re looking at a new customer’s creditworthiness through the rear-view mirror rather than looking ahead at the possibilities. Assessing “risky business” in your existing customer base. 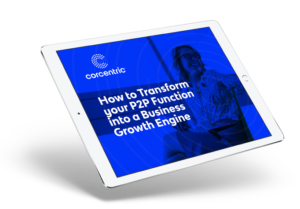 Although new customer acquisition is absolutely necessary for growth, it’s important to remember that it costs five times as much to acquire a new customer as it does to retain an existing one. But wanting to retain existing customers shouldn’t result in complacency when it comes to looking at payment trends. Timing of payments can change in such a subtle way that most AR departments may not have the internal resources to identify and follow up on these very slight changes that might portend future payment problems. Rather than hiring new personnel, companies may choose to outsource credit risk and analytics functions to their AR automation solution provider. How would this work? This “middle man” provider would look at established customer patterns of payment and terms compliance on a customer-by-customer basis. There may be an assessment that there are customers that consistently pay on time; however by overlaying the payment data with real-time analytics, dashboards created within the solution might show a very slow and subtle change in timing. At that point, it would be advisable to put in a tickler (+ or – 5 days, for instance) to follow and identify any concerning trends. Once you identify an issue, there are two possible paths to take. One is to do some exploration on your own (or have your provider do so) to check if there is any information that might point to a business problem of that customer. Or, you could simply call the customer, note that there has been a small discrepancy in payment patterns, and inquire as to the problem. The answer could be quite benign and a quick, friendly call will help maintain a good buyer/seller relationship. If the answer is troubling, you will have identified the problem before it can significantly impact your bottom line. The three factors necessary to reduce credit risk. Reducing your credit risk really depends on three factors: real-time visibility; real-time analytics; and a resource that can provide a reliable credit risk assessment. You can only accomplish this with a digitized automated AR solution. However, when you begin to look for a third-party solution provider, you need to ascertain whether or not that provider has deep expertise and talent in the areas of both technology and accounts receivable and that constantly exhibits the use of best practices and techniques. Risk is a natural part of doing business; being able to reduce that risk will prove ever more important in this increasingly competitive economy. See how the right AR solution can cut complexity and reduce credit risk.